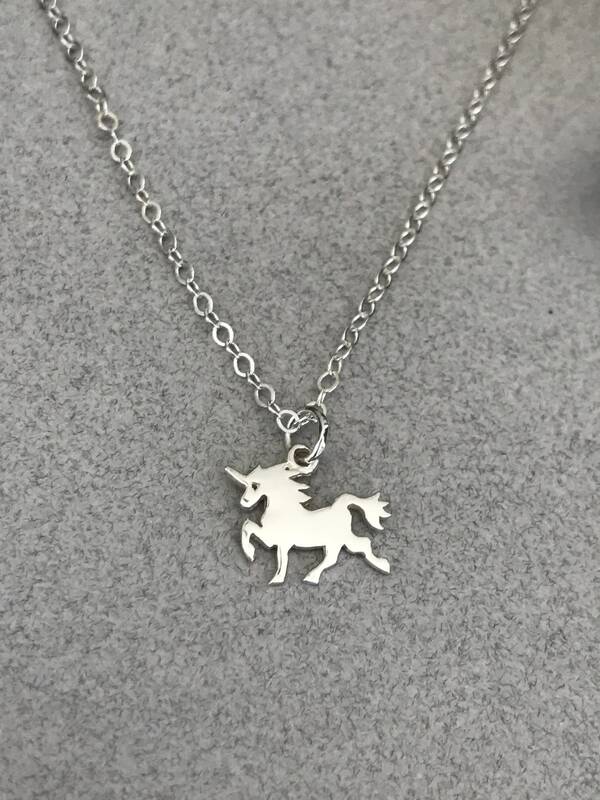 ♥ - Sterling Silver Chain & Fixings. 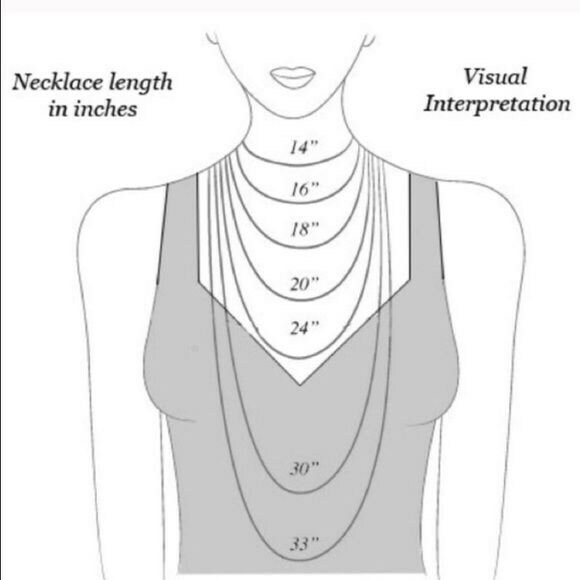 Choose your length. 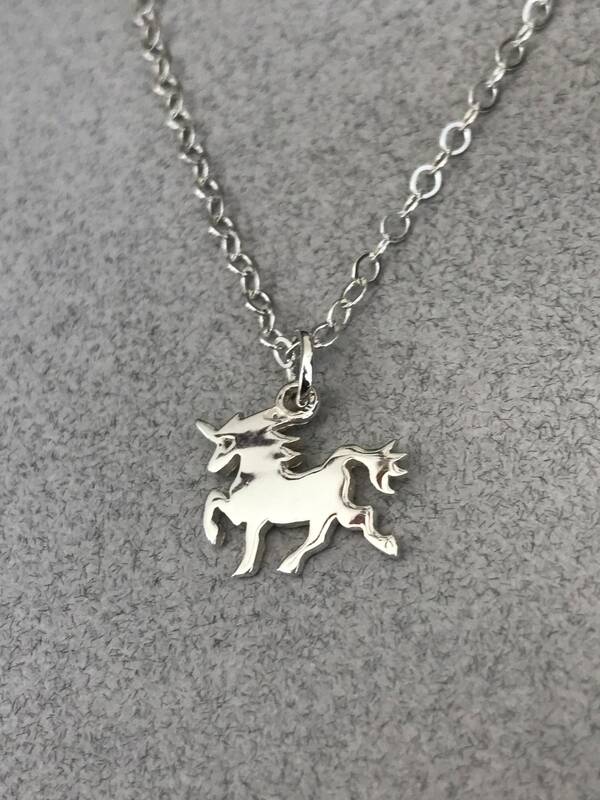 ♥ - Sterling Silver Unicorn Charm, 14x12mm. 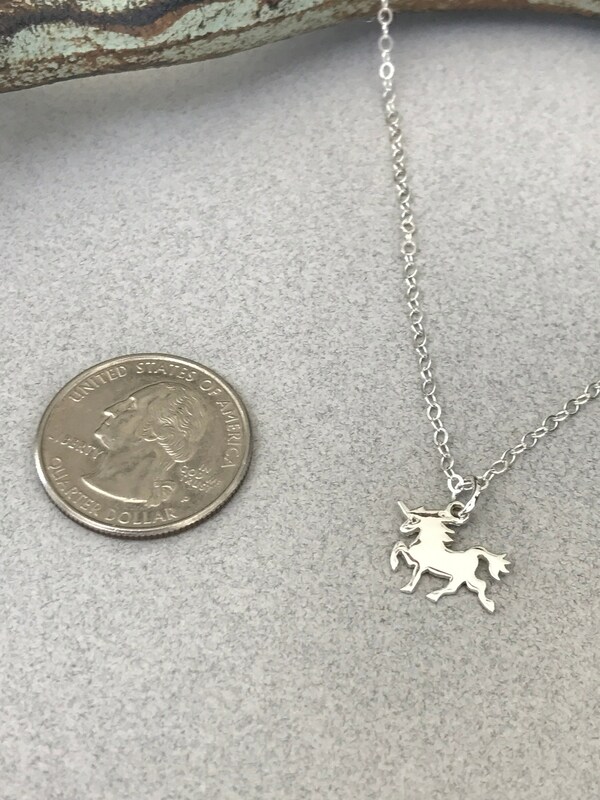 ♥ - Beautiful, Dainty, Minimalist. 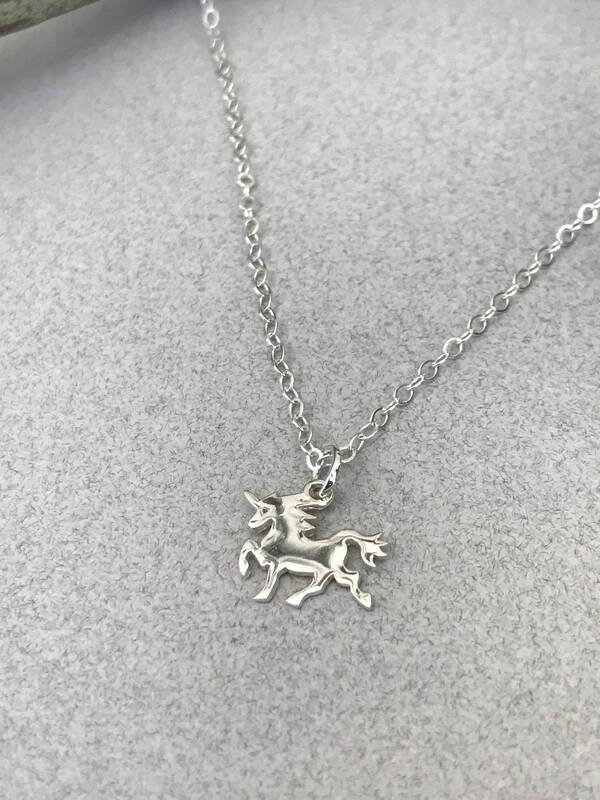 Delicate and dainty sterling silver unicorn necklace. Choose your length in the drop down menu.